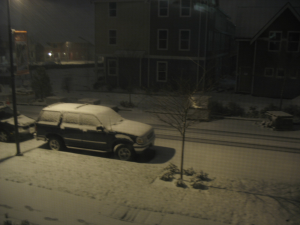 Wow, we have real snow going in Seattle. Our third winter here and it's the first time the snow actually stays. Of course, since it rarely snows here, driving is even worse then usual. The one very steep hill near our house was closed as a precaution.